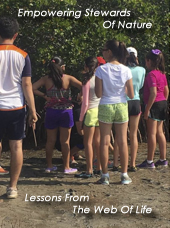 With this blog posting, I am sharing my collection of notes on environmental education teaching methods which are contained in my new book, “Empowering Stewards of Nature – Lessons From The Web of Life“. This book will be made available at no cost on this web site. Henri J.M. Nouwen was a Catholic priest, author, professor, and pastor who wrote over 40 books about the spiritual life. 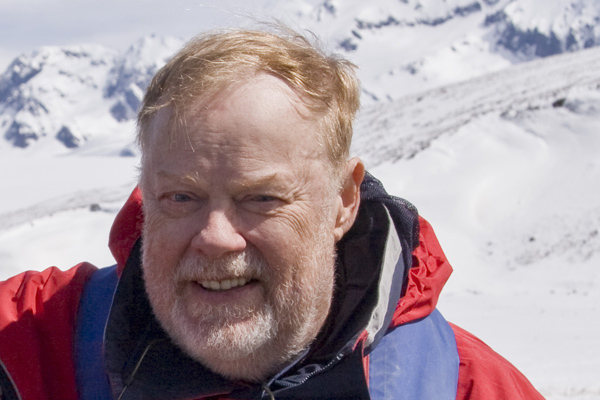 One of his books, “Reaching Out” uses the metaphor of hospitality – a gracious host serving the needs of a guest – to describe many different human relationships. One of the relationships that Fr. Nouwen examines is the relationship between a teacher and a student. He does so in a very profound and effective way that becomes a guide for any teacher who cares to challenge his/her students to reach new heights previously unreached. One of the greatest trage­dies of modern education is that millions of young people spend many hours, days, weeks and years listening to lectures, reading books and writing papers with a constantly in­creasing resistance. Students perceive their education as a long endless row of obliga­tions to be fulfilled. They are considered as poor needy, ignorant beggars who come to a man or woman of knowledge. Teachers are perceived more as demanding bosses than as guides in the search for knowledge and understanding. While the ability to think critically and the opportunity to develop a consciousness for something are far more career defining than any subject matter that is taught, educators continue to define themselves by offering memorized and regurgitated knowledge. The teacher is trained to offer solutions without the existence of a question. Consequently, critical thinking skills are never developed and a consciousness for Nature is never encouraged because the student rarely gets the opportunity to argue a question. If there is any culture that has suc­ceeded in killing the natural spontaneous curiosity of people and dulling the human desire to discover and explore, it is our education systems. How can we counter this tragic trend and help the student think critically and develop passions to be applied usefully in society? Fr. Nouwen offers a thoughtful solution for teachers that still permit the use of traditional teaching styles. Hospitality is the creation of a friendly empty space by a host where a guest can fearlessly reach out to fellow human beings and invite them to explore new relationships. Hospitality is much like gardening. We cannot force a plant to grow but we can take away the weeds and stones which prevent its development. Hospitality can take place on many levels and in many kinds of relationships. One such relationship is that between a teacher and a student where the student is treated like a guest who honors the host’s house with his/her presence and will not leave it without having made a unique contribution. The good host (the teacher) is the one who not only helps guests (the students) see that they have hidden talents, but who also is able to help them develop and deepen those talents and passions so they can continue their way on their own with new self confidence. Therefore, the teacher has first of all to reveal, to take away the veil covering many students’ intellectual life, and help them see that their own life experiences, their own insights and convictions, their own intuitions and formulations are worth serious attention. A good host is the one who believes that the guest is carrying a promise he/she wants to reveal to anyone who shows genuine inter­est. It is easy to impress students with books they have not read, with terms they have not heard, or with situations with which they are unfamiliar. It is much more difficult to be a receiver who can help the students to distinguish carefully between the wheat and the weeds in their own lives and to show the beauty of the gifts they are carrying with them. Then, what is revealed as good, worthwhile, or a new contribution needs to be affirmed by the host. Affirmation, encouragement, and support are often more important than critique. Affirmation can be manifested in many ways. At the very least, it means the expression of excitement and surprise or a word of thanks. At a minimum, a teacher needs to express affirmation in this way. A teacher’s primary task, then, is to offer students the safe haven where they can reveal their great human potentials to love, to give, and to create, and where they can find the affirmation that gives them the courage to continue their search without fear. Through the process of providing a safe space and continuing affirmation, the teacher/host becomes a talent scout who helps identify and facilitate the emergence and practice of a student’s innate skills and talents. The next task is providing the fear free space within the student to explore new ideas and knowledge beyond that which you can offer. Instead of pouring rote knowledge down the throats of your students, you become a host who introduces your student to pathways for new knowledge. Through the learning processes discussed below, you are then introducing knowledge beyond what you know. You are introducing your student to new knowledge and a productive consciousness of an interconnected and interdependent Nature. The idea that’s being offered in the following paragraphs is that each student is an honored guest. The role of you, as the host, is to be a simple and humble facilitator who introduces the guest to others and their ideas in a way that can benefit the student as he/she discovers and proceeds on a journey of discovery. There are four steps in the process of environmental education. The goal of all environmental educators is to build a legacy of future generations that will result in a new consciousness for Nature that has been lost by recent generations. Through their efforts, the current destructive trend of apathy toward Nature, human over-consumption, and over-population has the potential of being reversed before it is too late. It is this legacy who will be preserving and protecting Nature’s essential and vital energy flow. It is our young people who will become the important stewards of Nature who will positively influence the rest of the human population. Environmental educators must instill in our youth an abiding consciousness of human interdependence with Nature. Our young people have an innate curiosity about the natural world that we must nurture. Experiences that young people have early in life impact the attitudes and behaviors they carry with them throughout their lifetime. Rather than listening to lectures, young people respond and learn best through their physical senses, their emotions of awe and wonder, and through open inquiry about what they are actually experiencing in Nature. What does this kind of education look like? How do environmental educators nurture young people’s sense of awe and wonder so that they develop a lasting appreciation for the natural world? How do environmental educators empower young people to become active caretakers of Nature throughout their lives? Inquiry-based Learning: An indoor and outdoor learning environment that invites inquiry from the students. This process is sometimes called Socratic learning. Active Stewardship: The real application of what has been learned in the form of effective conservation practices. All three of these categories of learning tools can utilize the inquiry-based learning method. Picture a seminar-style setting where the teacher is a facilitator and the students consider assigned questions and do their own research to provide answers in front of their peers and their teachers. Young people who continually question why things look and function the way that they do. Their natural sense of wonder is at the center of their learning and drives the direction that learning will take. Knowledge is dynamic, collectively constructed, and provided by many sources instead of being contained in a single textbook, adult, or classroom. Information is investigated, analyzed, and negotiated between students. This is process is called Inquiry-Based Learning. Education is much more than force feeding information to students and measuring how well they regurgitate that information back to the teacher on command or through testing. With the facilitator asking questions instead of lecturing, the student is required to think and probe. This process of critical thinking embeds knowledge and creates a curiousity and a yearning to learn more. Critical thinking encourages the exploration, adventure, and discovery that we see in experiential education. When I was a student, one of my truly great life experiences was two years working on a Master’s degree at Harvard University. In this program, we used no text books. Classes were totally inquiry-based where the professor played the role of facilitator by continually posing difficult questions. We students would prepare for a class by doing research and gathering facts to support conclusions. That preparation was vital to building a knowledge base for a given class session. We learned the value of good research. We gained the ability to think about and defend our ideas. Most important, we built critical thinking skills as we defended our ideas in front of our peers and our professor. This Harvard experience became the model for my role as an educator. I was amazed to find that the inquiry-based approach to learning worked well with university graduate students as well as primary (5th grade and up), secondary, and high school students. When I worked with primary secondary, and high school students, the inquiry-based approach became my only classroom discipline tool. A challenging question directed at a maligning student was all that was needed to bring him or her back on task. I also found that inquiry-based teaching is particularly effective with so-called “ADHD” students because these folks respond well to challenges. I found that students who were disadvantaged and slow learners embraced the special attention afforded to them when I asked them a question and respected their dialog. We were all equal. The suggested role of the instructor in an inquiry-based setting is that of a mentor and facilitator where the student is encouraged to create adventures, experience the excitement of discovery, and develop understand in his or her own way. The job you have, as the facilitator, is to be a “spark plug” for research as you open the doors to more discoveries by your students.You are the one who opens windows of attention, curiosity, discovery, learning, and consciousness. Inquiry-based methods are strongly encouraged in order to build questioning minds and critical thinking skills that implant ideas and prepare students for college life. You will need to mentally keep one step ahead of your students in your seminar sessions. Most likely, this process will leave you fatigued after class. You must prepare for a seminar along with your students. But, you will find that it is your students who teach you the subject if they prepare properly. It is important that, if you are grading, an important criteria is preparation. You must let your students know that you are grading on preparation rather than on right or wrong answers. Your job in the seminar will be to listen carefully to what a student says and then ask questions that will lead to further thinking. With time, you might ask some of your students to lead seminars. There is a lot of material on the inquiry-based method on the Internet. The inquiry-based method is also called the socratic method. Here, I offer three Internet links which will help build your skill level in asking questions. This article explains the history and theory of the Socratic method of teaching, which emphasizes teacher-student dialogue. The Socratic seminar is “a form of structured discourse about ideas and dilemmas”. Honoring students’ questions increases their motivation, leading to higher levels of engagement, improved understanding, and a love of learning. A student who asks a question is providing the teacher with information about what he or she is interested in knowing, or his or her level of understanding. A student’s interest in the content profoundly affects his or her attentional and retrieval processes, acquisition of knowledge, and effort expenditure. Students engage deeply with the content because it interests them, not because they are expected to learn it. Consequently, their learning is superior: They seek more information and reflect more on the material. Inquiry stimulates students’ curiosity, leading to progressively deeper questions and habitual critical thinking. By fostering a culture of inquiry, teachers help students become more discerning observers and thinkers. Critical-thinking skills deepen and become habitual. Curiosity is cultivated and preserved. Inquiry teaching stimulates a student’s natural sense of wonder. But, the sense of wonder is fragile. If a teacher stops using the inquiry approach the student’s sense of wonder rarely returns. Students will eventually stop noticing and asking questions. They will then resort to the ‘game’ of education, which simply includes figuring out what the teacher wants to hear and what will be on the test. Inquiry builds lifelong learning skills that become greater than simply learning facts and taking tests. We live in an age of information-overload and rapidly changing technologies. Access to content knowledge is literally at students’ fingertips on the Internet. However, information accumulation is no longer the primary objective of education. Students in the 21st century need to acquire skills for deciphering what information is useful and what is not. Move the discussion around by regularly calling upon students. Spontaneously ask the question, “What Do You Think, Mary?”. Take your class outside (field trips) to witness observable natural phenomena. Always ask: What do you see? Always review the seminar discussion at the end of the time period. Playing, building, researching, and designing experiments that test their current understandings. Venturing outside of their classrooms to learn about Nature in Nature. Gaining a full sensory experience of their natural surroundings by seeing, touching, feeling, smelling, tasting. Making close observations of phenomena such as energy flow, then recording and reflecting on their findings. This process is called Experiential Learning. There is great value in being outdoors in Nature. Outdoor classrooms, with hands-on and place-based activities are strongly suggested because Nature is the classroom when She becomes both the teacher and the instigator of consciousness within a student. Outdoor experiences in Nature can be highly structured or open-ended, depending on the intended purpose. For instance, building a school garden is a structured learning experience. An open-ended experience in Nature is often less structured and provides ‘space’ for students to explore their own interests. The connection between Stewardship and Experiential Learning happens because there is evidence to suggest that childhood experiences in Nature are connected to environmentally-conscious behavior later in life. “When students participate in experiential learning, they frequently follow what is known as “the learning cycle.” This is a process which starts with unstructured exploration followed by concept formation and concept application. For example, when studying decomposition using a worm bin, students start by examining a scoop of the bin’s contents. After having time to explore, they identify questions to pursue (concept formation). They design and carry out further investigations and report their findings to the class (concept application). The cycle is repeated as students test ideas and refine or change their assumptions and understandings. Doing hands-on place-based environmental education is very dependent upon the Nature that is available to you. In my experience, it is critically important to set up experiential learning activities that include some form of a small inquiry-based session to discover what each student is seeing and feeling. Doing manual (touch/feel) activities is also important to amplify an experience. Simply picking up a rock or a twig and asking what it is will get things started — especially when you ask how that rock or twig is connected to the rest of the ecosystem. It is very important to conduct some sort of an inquiry-based review session (“What did you see?”) at the end of a field trip before they depart from the location they have studied. Experiences in Nature are usually driven by a young person’s sense of awe and wonder as well as sight, touch, taste, and smell. 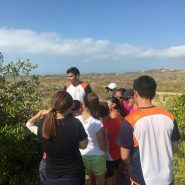 For example, by simply asking our students to feel the sun’s energy through its heat, we were able to get them to experience energy flow in Nature. The impact of that experience far outweighs a classroom discussion. Are more motivated to participate in, or even initiate, acts of stewardship, environmental or otherwise. Feel empowered when they make their own decisions and are able to act upon them. Have been given the time and opportunity to experience Nature in meaningful ways. Gain the confidence and feeling of power to make changes that will benefit both their communities and the environment. Design, implement, and oversee real conservation projects in Nature. Feel motivated to acquire new knowledge and may even gain the confidence to act upon it by challenging their own community’s established norms and effecting change within their environment. This list defines Environmental Stewardship. The ultimate goal of inquiry-based and experiential environmental education is to instill a deep consciousness for an interconnected and interdependent Nature in the minds, hearts, and souls of our youth. This deep consciousness then becomes the bedrock of environmental stewardship. Environmental stewardship refers to the protection of Nature’s energy connections within Her living systems. Environmental stewardship refers to human actions that contribute to a sustainable future for humans, animals, and plant species alike. Environmental stewardship is a call to action to employ effective conservation methods and sustainable practices. Through inquiry-based and experiential environmental education, a student learns to experience Nature’s interconnections and interdependencies in all aspects of life. This leads to the development of a stewardship for Nature within the mind and the soul of the student. Conservation defines methods that protect Nature’s energy flow. The student can receive this knowledge through inquiry-based and experiential education. First, using inquiry-based seminars, the concepts of energy, energy flow, food chains, food webs, and other subjects emerge in the discussions. From these seminars, the practices for defining an energy link in an ecosystem are explored. The practice of good stewardship through the design and implementation of programs that serve to protect Nature’s energy flow. Good stewardship is a call to action in the form of effective conservation practices that preserve and protect Nature’s vital energy flow within her ecosystems. You have just mentioned this “Environmental educators must instill in our youth an abiding consciousness of human interdependence with Nature.” Why didn’t you just tell that we can also teach kids about the environment? It’s good to invest in kids too. Because it’s never too late to do something great. Btw, you have cleared some other things properly. I am happy with that. Hello Sabbir: Thank you for your comments. I am sorry that I was not clear in my blog. My entire focus is on evangelizing the idea of how everything on Earth is interconnected because everything needs a source of energy that comes from someplace else. By focusing on energy flow networks, I am hoping to show why we are all interdependent. Next time I will be clearer and simpler in my wording. I like your web site very much !!!! I must appreciate your work. By the way you have a very nice website too.